The Supreme Court of Canada is being asked to settle a seven-year battle to lift the shroud of secrecy over a decades-old intelligence dossier on socialist trailblazer Tommy Douglas. Jim Bronskill, a reporter with The Canadian Press, is seeking leave to appeal the case to the country's highest court. According to Bronskill's lawyer says it's not just about gaining access to the file. In essence, the top court is being asked to be the final arbiter on whether national security should trump the public's right to see historical documents. "It is about the balance between history and security and when national security information can and should be withheld," Paul Champ said in an interview. "Our simple position is that information that's gathered for intelligence or national security should not be hidden away from Canadians for all time. At some point, that information can and should become available to historians and journalists and the Canadian public so that we can better understand our history." In 2005, Bronskill applied under the Access to Information Act to see the intelligence file compiled by the now-defunct RCMP Security Service on Douglas, a former Saskatchewan premier, father of medicare and first federal NDP leader. Library and Archives Canada, which is now in possession of the file, eventually released just over 400, heavily redacted pages from the 1,142-page file. Bronskill launched a court challenge after the federal information commissioner agreed with the government that most of the file should remain under wraps. The Canadian Security Intelligence Service, which replaced the Mounties' security service and advised Library and Archives on release of the Douglas file, has argued strenuously against full disclosure. Although some information in the file dates back almost 80 years, the agency maintains uncensored release of the dossier would reveal secrets of the spy trade, which could jeopardize the lives of confidential informants and compromise the agency's ability to conduct secret surveillance. Last year, just days before the case was heard in Federal Court, the government released more than 300 additional pages from the file. Nevertheless, Justice Simon Noel subsequently ruled that Library and Archives failed to take into account its mandate to preserve historically significant documents and make them accessible to Canadians when responding to Bronskill's access request. Having painstakingly reviewed all the pages in the file, Noel attached an annex to his judgment, listing the page numbers which contained information he believed should be further disclosed. The government appealed to the Federal Court of Appeal which, after hearing three hours of legal arguments last October, issued a brief oral ruling overturning Noel's decision. While the panel of three justices agreed that the historical value of documents should be a factor in considering access requests, it also struck down Noel's annex. 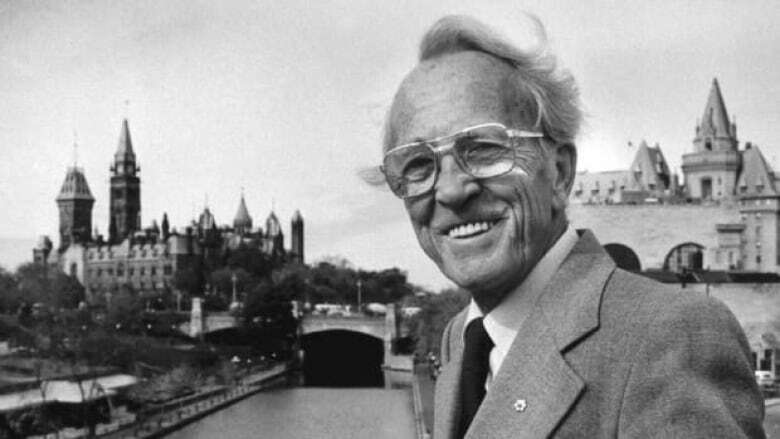 In an application seeking leave to appeal to the Supreme Court, Champ argues that the Federal Court of Appeal ruling means "hundreds of documents about Tommy Douglas – some over 70 years old – will be permanently withheld from the Canadian public." Moreover, he says it means access legislation "will continue to be interpreted in a manner that generally restricts disclosure of historically significant documents. The study of Canadian history, and its salutary influence on the practice of democracy, is seriously damaged by this result." Champ also argues the appeal court should not have so "lightly overturned" Noel's ruling, given the amount of time he'd spent personally reviewing the Douglas file. The government has 30 days in which to respond to Champ's application for leave to appeal to the Supreme Court. Champ said he believes the government is going to the wall over the Douglas file primarily because CSIS fears embarrassment from further revelations about the extent to which one of Canada's most beloved political figures was spied on. Documents released thus far show the Mounties spied on Douglas from the late 1930s to shortly before his death in 1986. They attended his speeches and protests, analysed his writings, infiltrated private meetings at which he spoke, and eavesdropped on private conversations. They seemed particularly interested in Douglas's links to the peace movement and the Communist party. They reported on his utterances concerning the civil rights movement in the United States, apartheid in South Africa, labour issues and strikes, Jewish political prisoners in the Soviet Union and political prisoners in Portugal and Spain.